Evening all, I do hope everyone has had a brilliant bank holiday! I've spent lots of it brunching, mooching and pampering so feel all nice and relaxed now which is jolly lovely. 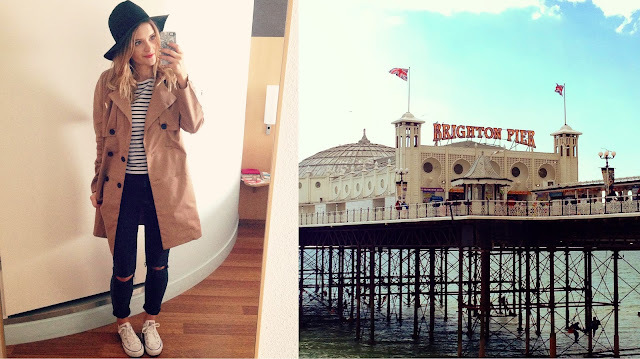 I also used the long weekend to finally catch up on my blogging and vlogging, which has taken a bit of a back seat to work and busy London life of late and tonight I wanted to share the Lookbook & VLOG I filmed on my Brighton staycation with the boy. There are four outfits along with lots of seaside snippets and places you just have to go and eat so I hope you enjoy and make sure to stay tuned for lots more Meg's Boutique this week! Are you a Brighton fan? Lovely lookbook Meg, I love your style! I love that this is a mix between a lookbook and a vlog! You seem to have had a great time :) it makes me want to go back to Brighton so bad! I love outfit n°2, these trousers suit you figure very well!